Meet Tux! Can you guess why that’s his name?!? He has a handsome black and white pattern just like a tuxedo! 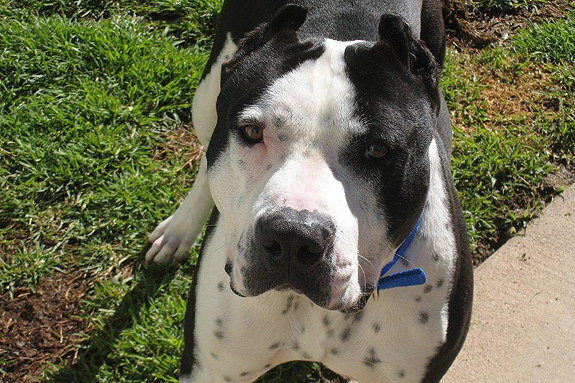 Tux is an active guy who would love to be part of a family. He would love to go hiking or jogging with his new family. One of his favorite games is jumping at sprinkler heads! This will entertain him for hours and he loves to get wet. He really likes to play fetch and does pretty well about bringing the ball back as long as he doesn’t get distracted by his doggie girlfriend Athena! Tux is great with other dogs but is not a fan of the felines. He rides fabulously in the car and is a quiet boy who rarely whines or barks. Tux’s favorite spot in his foster home is the recliner and will climb right into his foster dad’s lap for a snooze! Tux is crate trained, house trained and understands basic commands. He will make a fabulous addition to an active home with or without other dogs but no kitties please. 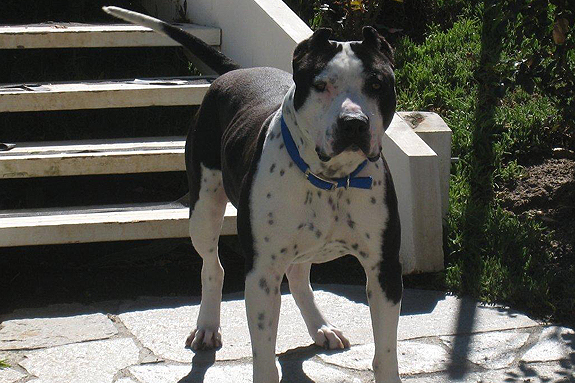 He is on the larger size for a pit bull type dog, and with his energy we recommend a forever home with older children. 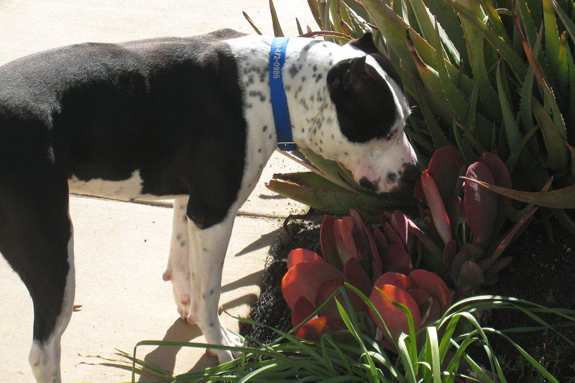 Tux is available for adoption through It’s the Pits Rescue, which is located in San Diego, CA. 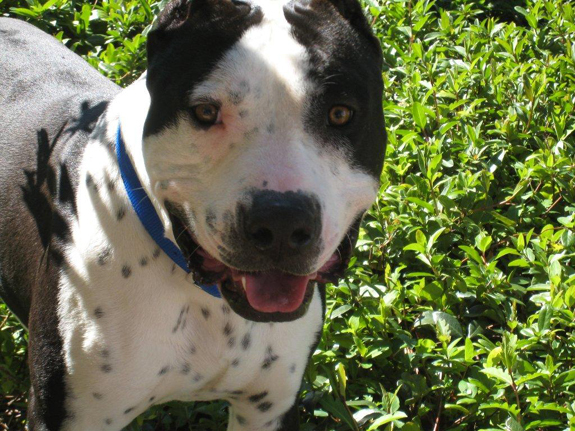 To find out more information on Tux or other adoptable animals please visit their website. You can also check them out on Facebook. What a gorgeous dog! He knew that video was for him – he posed and smiled for the camera! I hope he finds a home soon! I have had the pleasure of meeting him, he is very sweet and loving.